VHF/UHF FM WINBAND HANDHELD TRANSCEIVER DJ-58 2 This compact transceiver, with its industry leading ergonomic design, excellent audio and sensitivity, is packed with expanded features offering you non-stop performance. 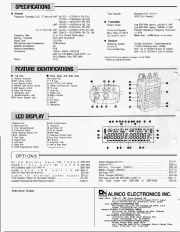 The ALLNCO DJ-582 comes standard with Airband Receive, * accelerated scanning speed, and *Apphcabk? 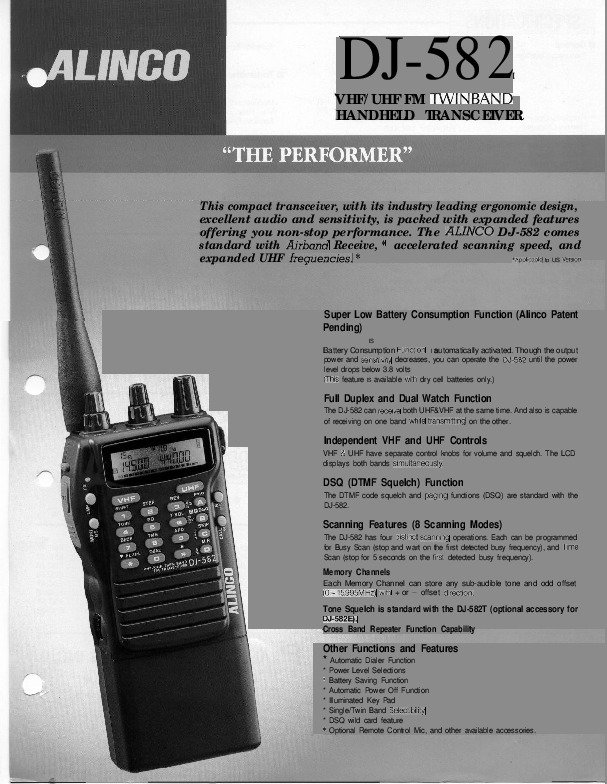 to US expanded UHF freauencies. 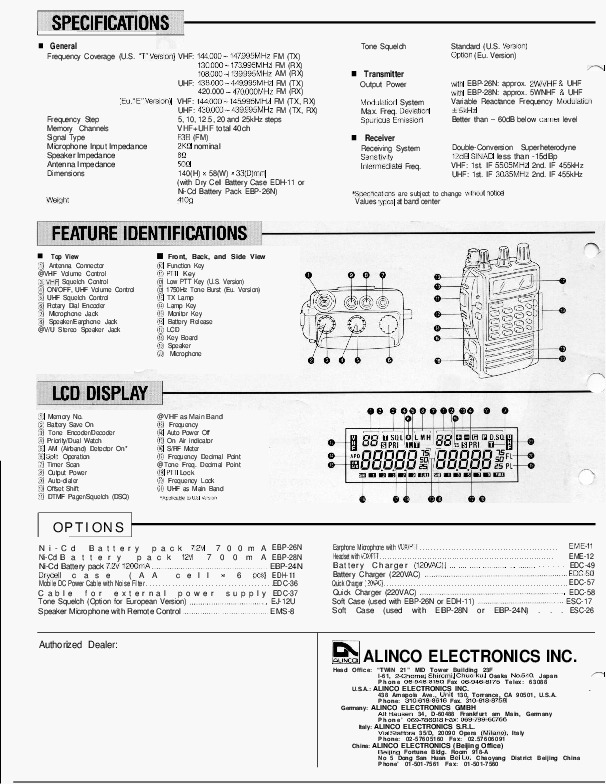 * Super Low Battery Consumption Function (Alinco Patent Pending) IS Battery Consumption IS automatically activated.